So, there’s this New Year’s tradition here in Japan called Fukubukuro. They basically are some big surprise bags that you buy on the first few days of the year and that contain in value about twice what you paid for, basically a 50% sale. The catch is that you don’t know what you’re going to get. OK, it’s not totally random, if you go to a kitchen utensil store, you’ll get kitchen utensils in it (random example). Some store will give you a total surprise, but less and less do it. I guess they figured that people are more likely to buy if they have a vague idea of what’s in the bag. Sometimes the bag will be color coded, sometimes you’ll have examples of opened bags, etc. A few days ago, my wife informed me that Lego has embraced the tradition and Lego fukubukuro are on sale in stores that sell Lego. There aren’t many stores that sell Lego in my towns, but of course Toys “R” Us sell some, and apparently Fukubukuro are already available (technically it should be only on January 1, 2, 3, but why restrict dates when one can sell more?). So to Toys “R” Us we went, and indeed there were some bags. There were two sizes, one that cost about 4,800 Yen ($40 or €33 at today’s rate – Damn, the Yen is really low these days) and one that’s closer to 7,700 yen ($64 or €53). With no hints whatsoever… Well, actually it wasn’t true, as the way the bags were taped left a tiny space where one could vaguely see some details. 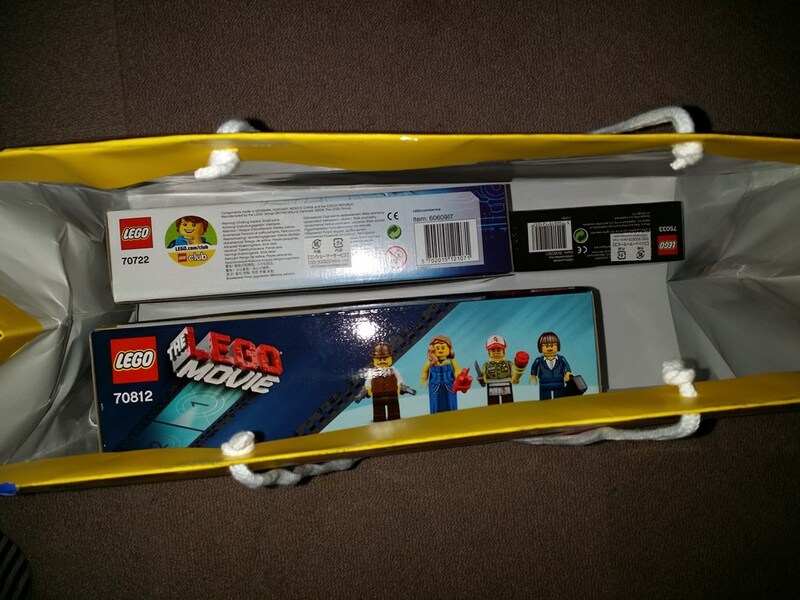 What I could see is that the smaller bags’ main set was from the Lego Movie, and that the larger bags’ main set was from Ninjago. There weren’t many bags for sale (maybe they refurbish regularly) but all seemed to have the same content. 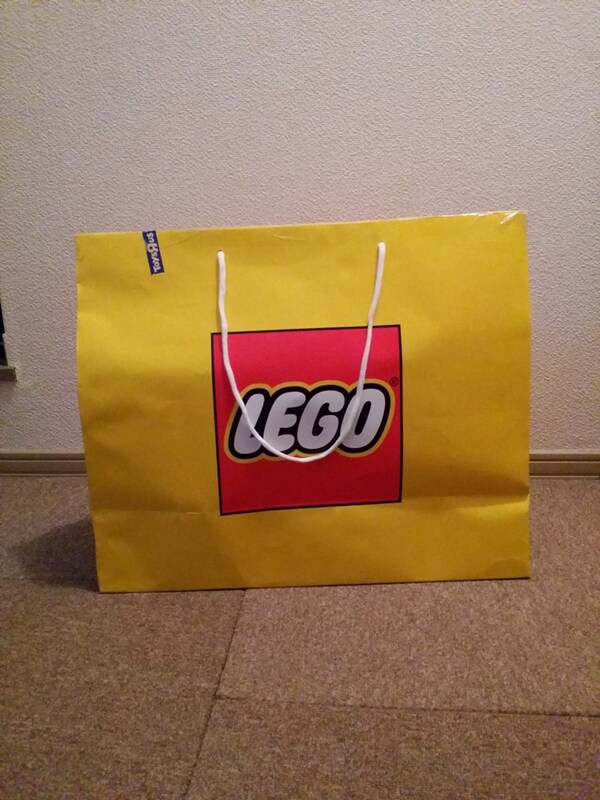 As I don’t care for Ninjago and I actually meant to buy a few Lego Movie sets but never did, I picked a smaller bag. Upon closer inspection, I could pick the number of the smaller set: 75033. One small Google search later, I knew it was the Imperial Star Destroyer from Star Wars Microfighters. Probably the Microfighter I care the least for, but oh well, I like the Microfighter series, and I have only one, the X-Wing. So, knowing that I was interested in at least two of the three sets it contained, I bought the bag and went home. I was originally hesitant about the whole thing because the most popular series in Japan seem to be Ninjago, Chima and City, and I really don’t care for Ninjago and Chima, and while I find a bunch of City sets interesting, the thing is that I’m starting to run out of “Lego space” in my house, so I don’t want to use it on sets I didn’t plan on buying in the first place. So here we are! 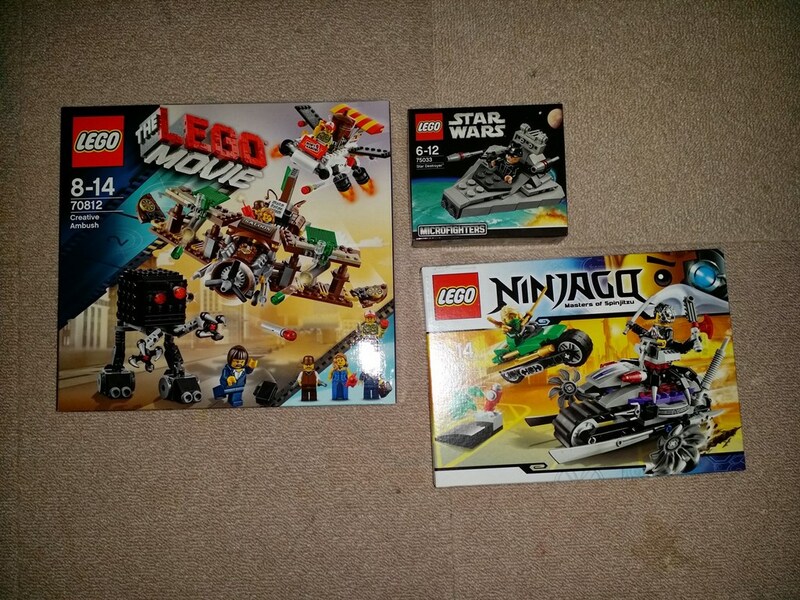 Lego Movie’s Creative Ambush, Star Wars’ Imperial Star Destroyer Microfighters and Ninjago’s Overborg Attack. At first, I was a little disappointed by the Creative Ambush set. Partly because I don’t really care for the minifigures, partly because I was secretly hoping for MetalBeard’s Duel or Super Cycle Chase, the two sets that I actually want to get sooner or later, or probably a silly set like the Trash Chomper or the Ice Cream Machine. However, upon closer inspection, while the minifigures are meh, all the vehicles look like a lot of fun, especially the Kebab Vendor thing. The Imperial Star Destroyer Microfighter, I don’t care too much for it, but I don’t dislike it either, and I don’t mind adding an Imperial Officer to my minifigure collection. In terms of value, pretty hard to tell (I should go back to the store and check, as Toys “R” Us doesn’t have a lot on its online store for some reason). If I look at the original prices on amazon.co.jp Yes, it’s a good deal, about 50% indeed. However, those sets are from last year and often on sale, here and there, so the price tag may not be that different after all. Oh well, it was a nice surprise anyway.